Visual artist and media theorist Jordan Crandall, in the project Under Fire, which was recently exhibited at the Witte de With centre in Rotterdam,1 examines the significance of the representation of armed conflicts. According to Crandall, it is imperative that attention be shifted from what an image means to what an image does. By developing a sort of counter-memory, it may be possible to expand our outlook and acquire more insight into the political and cultural dimensions of the representation of war in a globalized world. Jordan Crandall, Under Fire, 2004. Moscow, February 17 – It was a campaign manager’s dream visual: A president weeks away from an election stands on the bridge of a nuclear submarine out at sea, watching the test launch of two intercontinental missiles capable of destroying an enemy city. President Vladimir Putin took his position aboard the Arkhangelsk on Tuesday afternoon, television cameras dutifully recording the moment. And he waited. And waited and waited. I am at waiting for my flight at Ronald Reagan airport in Washington dc, thinking about the production of suspicion. We all know the drill: Agitated by the general belligerence of air travel, we hear the familiar intonations over the public address system, which compel us to report any suspicious personage. Eyes narrowed, I play the game and scan the concourse, wondering whom I might deem suspicious, and what could possibly compel me, were I to locate some such person, to scurry over to Security in order to ‘report’ them. I wonder how many people are actually reported each day. I wonder what kind of suspicious behavior I should be looking for. Suddenly, I realize the most insidious part of the drill: What about me? With this realization, I am transformed. I am the person at Sartre’s keyhole, caught in the act, who knows that he is seen at the moment he sees. I have now become an object for the gaze of another. Looked at, I look at myself. I wonder, if I stand this way, or walk this way, do I look suspicious? I be­come intensely aware of my actions and their possible misreadings, and I modify my actions accordingly. Increasingly, it seems, we are all potential suspects, and we cannot but help to internalize this potentiality. It is a sculpting force, in terms of both our subjectivity and our actions. In a monitored and hyper-mediated ­culture, we are increasingly second-guessing ourselves. We say to ourselves: if I do this, how will my actions be represented and interpreted? Could it be taken the wrong way? There is a heightened awareness of how one’s actions intersect with systems of signification, and of how they could be read, and this line of thinking shapes one’s action in the here-and-now. Such an orientation colonizes the future. It generates a present that is always ahead of itself. It is a vector that pulls us ever forward, as it vanquishes the past. It instills a sense of incipient crime: a sense of danger just around the corner. New morphologies of desire, fear, and latent or unconscious transgression appear – what Baudrillard would call ‘an unconscious form of potential, veiled, carefully repressed criminality.’ Since it is always capable of surfacing, one is left ‘thrilling secretly’ to the potential spectacle of criminal eruption. Accompanying the construction of suspicion and the choreographies of security is a concomitant evacuation of memory, a thrilling and dangerous ‘ever-present-ness’ that opens out always to the proximate moment, even as it absorbs it. It is now the summer of 2004. The funeral of Ronald Reagan has just passed. A nation remembers. I am reflecting on the Cold War period that largely defined his presidency. I am thinking about his legacy, his role in the contemporary expansion of the military through the private sector, and the subsequent emergence of the private military and intelligence industry. Scanning the newspaper whose headlines speculate on the spread of nuclear weapons and the emergence of a new nuclear age, I think of the legacy of ‘Star Wars.’ Twenty years after Reagan created an international furor by proposing to weaponize space with the Strategic Defense Initiative, the Pentagon is back with a new plan. In Delta Junction, Alaska, silos are now being readied for the installation of three-stage interceptors, each topped with thrusters and optical sensors that, within a few months, will give the us its first operating missile defense system. No matter that this is a system whose early tests have repeatedly failed to live up to expectations – the mission lives on. Rather than admit any failure, the Pentagon has simply rewritten the standards for success. In the culture of ‘spin,’ there is no event that is not subject to perpetual revision. In a militarized culture of potential suspicion, we are led to think that we cannot afford to look back. Remembering is a form of vulnerability. It is a risk. It leaves you open to attack. What kind of enemy was an antimissile defense system thought to address, then and now? In the late 1940s, communism was positioned as a kind of global terrorism whose spread must be contained. Metaphors and ideologies of moral leadership were linked to the development of techno­logy, military might, and policy, and projected across the globe. The Cold War ran on a productive economy of fear: the fear of an omnipresent enemy who could be anywhere, strike at any time, and who in fact could be ‘among us.’ As economies of fear are symbiotic with those of desire, the Cold War also ran on a desiring system oriented around consumer products, convenience, moral good, and freedom itself. To talk about ­suspicion necessitates a conversation about seduction: the war economy feeds on both. The war on terror and the logic of so-called pre-emptive warfare – with its omnipresent, unspecified enemies and its generalized locations of threat – arise from a common platform. We can benefit by taking the longer view, looking at historical constructions of the enemy. The doctrine of pre-emptive warfare arose out of the doctrine of containment and its logic of deterrence, and can best be seen in terms of its embeddedness within the history of the past fifty years. By drawing on its history, we are compelled to look at the bigger picture: the larger environment in which military development and security technology have arisen during the latter half of the 20th century. Military development and security technology arise within economies of fear and desire and an ontology of enemy and ally. Fear and desire for the enemy-ally drive the development of technology and military capacity – yet at the same time, the latter provide the processing environments in which fears and desires, attractions and protections, coalesce. Looking at economies of fear and desire provide a different way of looking at warfare and business economies, which have become nearly useless category ­distinctions, especially as warfare has become increasingly privatized. We need to link war and business together in one mutually-reinforcing system. We say that business is war, but we do not recognize the role that desire plays in warfare, other than referring to it in terms of spectacle or entertainment. This focus, in turn, provides a way to look at a neglected psychological and symbolic dimension, rather than relying primarily on a logistics of production. Such an orientation might be helpful in developing a counter-memory, a counter-semantics, which might have a political potential within the ­psychologically-charged and affective spaces of contemporary militarized culture. In order to develop ways of exploring how identifications and friend/enemy distinctions are determined in the present post-Cold War period, when we no longer have the same kinds of territorial and ideological divisions, we need to probe into the realm of the unconscious, and into the realms of fantasy and myth, and into the complex re-negotiations of cultural memory. In so doing, we can emphasize the extent to which reality is an agglomeration of multiple registers of meaning. As critics, we trap ourselves in dealing with ideology as if it were the only register. It is important to explore the role that desire, suspicion, and fear play in the contemporary ordering of reality, and the ways in which – through acquiescence and resistance – we identify and form ourselves within a culture of preventive war and presumptive suspicion. As always, identity and embodiment are about processes of incipience or becoming, as much as they are about categorical distinction, and hostility arises as much out of the fear of our own dissolution as it does out of a fear of the other. As the German writer and philosopher Klaus Theweleit would say, the ‘front’ is not only the place of violent contestation, but also the site of the body’s resistance to the threat of its self-disintegration. Such an orientation requires a shift toward the affective dimension of image reception – that is, a shift in focus from what an image means to what it does. It requires new theories of representation that can build on a semiotic-based media theory, but which focus on issues of intensity and the motivating power of images. Instead of asking what this image signifies (how the image represents the actuality, as open to interpretation), one could ask how it negotiates significance (relevance within a given situation). At the same time, we need to understand representation in all of its specificity: how it replicates and travels, how it substitutes for event, how it is a cluster of changing codes and orientations, how it is relayed by technologies of detection and deception. Moreover, we need to understand the deceptively common space that media images seem to generate. 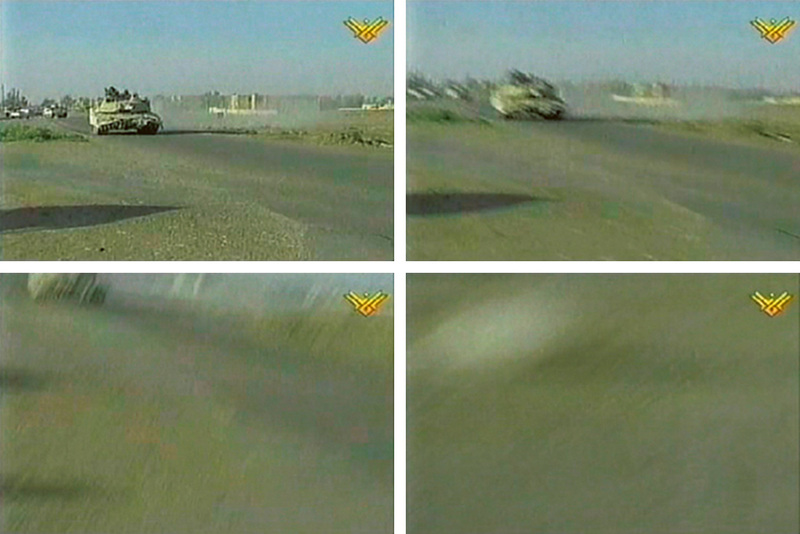 Following an event of universal import, such as torture at Abu Ghraib, images appear on the screens of televisions and computers worldwide nearly simultaneously. There seems to be a global space of perception that is nearly simultaneously focused on a single image or set of images, but this seemingly unified space is continually fractured along lines of difference and re-sorted along lines of affiliation, through a variety of means that are often very informal. It appears that something like a common space of images, which, having coalesced through transmission and replication, now forms a public space or archive from which all can draw. But this is an illusion. How do we speak about these issues? What structures our conversations? How do we insure that we are not only speaking to ourselves? How do we insure that we are not purporting to simply speak for others who have no voice? In other words: How can we develop more inclusive global conversations? This is a challenge that confronts us all. And it requires self-reflection as to our means and conditions of communication. Rather than engaging participation solely from the critical and academic cultures of the West, we need to engage participation from individuals and groups that we can consider as having taken a different path to modernity, and thus who don’t necessarily work from the historical narratives of Western modern culture. To open up such a space is to open up a discursive terrain whose frames have to be continually negotiated. It is a way of exploring the political dimension of representation in a globalized world while avoiding, as we find with much discourse around the ‘war on terror,’ of miming the frames of reference that are part of the problem. For example, you find the widespread use of the nebulous term ‘terrorism’ without its deconstruction. Edward Said preferred to abandon the term and focus on forms of violence that are produced by a politics of identity, for example, in a way that requires an active translation among political languages and the development of a historical counter-semantics. It is urgent to find ways of exploring the organization and representation of armed conflicts today. To look at the forces that give rise to violence, while looking at the ways in which such violence gets instantiated in specific acts of representation. To account for the ways in which images and acts enter into the field of the symbolic imaginary, intersecting with the Real and the encodings of cultural memory. To understand armed violence in systemic terms – that is, to understand violence as a product of the modalities of a global system, not simply as aberration. To understand the forces that contribute to the emergence of militarized agencies, and the acts of resistance to them. To look at conflicts in terms of emergent ­systems of decentralized control and global dynamics of power, moving between system and element, infrastructure and occurrence, backdrop and act. Such are the concerns of Under Fire. 1. Under Fire is a project by Jordan Crandall and was organized by the Witte de With Center for Contemporary Art, in association with the V2 Institute for the Unstable Media, both located in Rotterdam. A publication accompanies the project, entitled Under Fire. Jordan Crandall, The Organization and Representation of Violence, Witte de With, Rotterdam 2004 (see also www.wdw.nl, under ‘archive’). Jordan Crandall is an artist and media theorist.